Take your solar rover outdoors on a sunny day and watch it zip along. No batteries required! 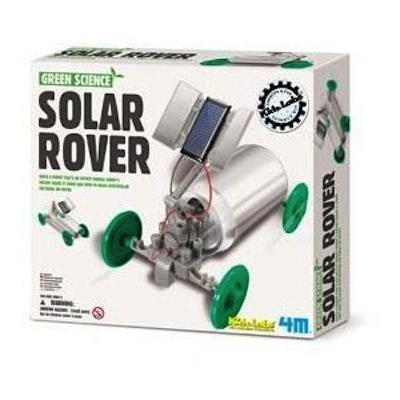 The solar rover's solar panel turns sunlight into the electricity than runs the motor. Recycle a soda can to make your solar rover unique. It's a science project that's green as well as fun! Required but not included in this kit: small crosshead screwdriver and an empty pop can.